Valiant Ambition is a sequel to Philbrick’s Bunker Hill. That prior book dealt with the origins of the American War of Independence in Boston, and covered key events including the Boston Massacre, the Tea Party, the initial clash of arms at Lexington and Concord, Bunker Hill, where the American’s didn’t shoot until they could see “the whites of their eyes”, and Washington assuming command on the death of General Warren and finally driving the British from the city. This book takes up the story with Washington’s incompetent defence of New York, his retreat into New Jersey and crossing of the Delaware in a desperate attempt to maintain some cohesion to his army, before his extraordinarily courageous counter attack, re-crossing the Delaware in mid-winter. In parallel with Washington misadventures Philbrick describes the altogether more effective military exploits of Benedict Arnold, whose extraordinary courage and aggressive instincts time and time again thwarted British stratagems to snuff out the rebellion. Arnold’s name has become a byword for perfidy in the United States. 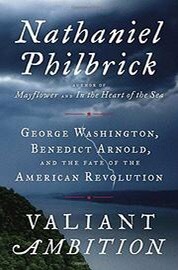 But Philbrick reminds us just how vital his role was in securing American independence. Philbrick notes how it was American victory in the Saratoga campaign which convinced France to enter the war on the side of the United States, and that it was Arnold’s actions at those battles that, more than anyone else, secured the victory. But Arnold was a particularly thin skinned soul, and his shoddy treatment by the Continental Congress stoked his alienation eventually leading him to explore the possibility not only of defecting to the British, but inflicting a devastating blow to American independence by surrendering the fortress at West Point. 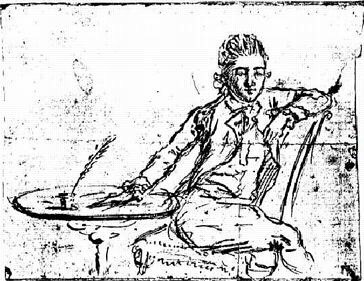 Towards this end he established a line of communication with Major John Andre, a young British officer who had risen to the role of adjudant to Sir Henry Clinton, the British commander in New York. By Philbrick’s account Andre is not the honourable officer of legend, brought low also by Arnold’s treachery. Rather Philbrick notes that he was a hugely charming and erudite officer but a thoroughly ambitious one with a ruthless streak, previously demonstrated by is involvement in actions that verged on being war crimes. Philbrick argues that it was Arnold’s treason that was decisive in uniting the nation behind the cause of independence: one could get only so far with the inspiration of the heroic Washington, he argues. What the young nation really needed was a villain and Arnold, previously the most effective battlefield general in the American army, filled that role to perfection. It is an intriguing tale. Doubtless Philbrick is already working on a follow-up. This entry was posted in Book Review, History, War by aidanjmcquade. Bookmark the permalink.